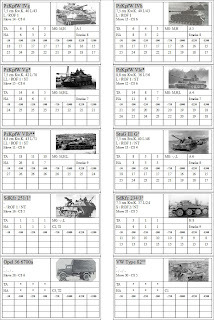 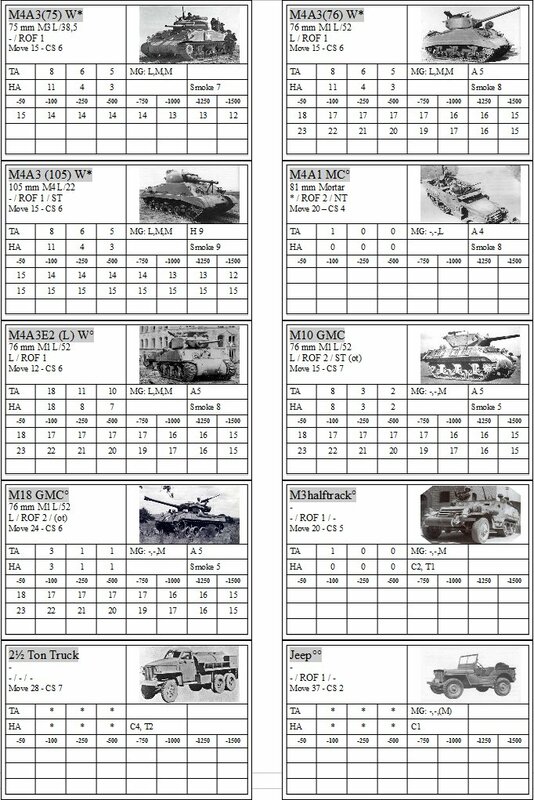 Here is the second version of the German tank cards, and the first version of the US cards. 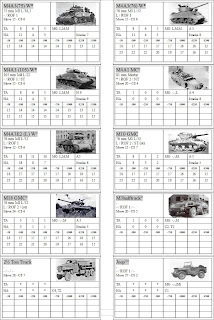 I still have to double check the US cards for errors, and I am waiting for some answers on armor questions, as well as cross check data on the penetration and muzzle velocity of the 76 mm M1, My data are inconsistent. 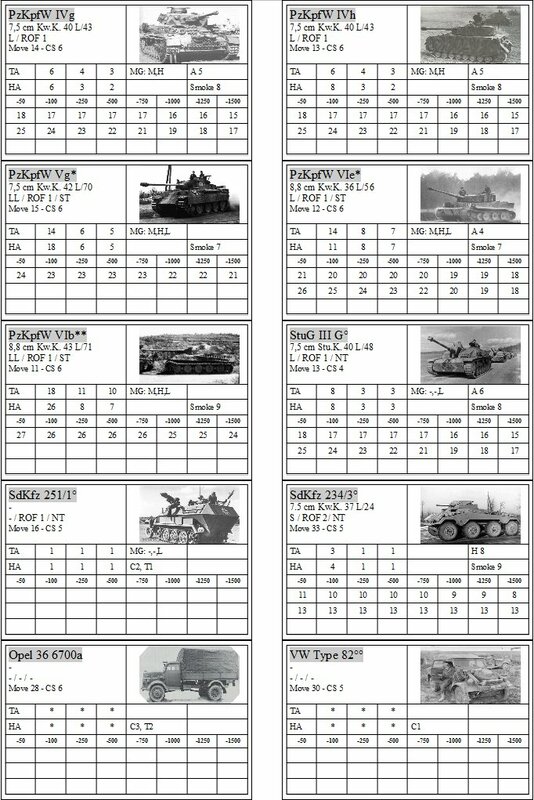 For now I have put it on a par with the German 75 mm KwK gun used on the IVh.